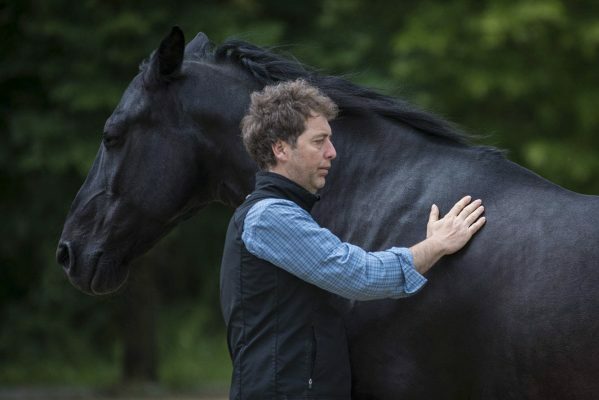 Antonello Radicchi is one of Italy’s foremost horse-trainers, specialising in dressage and has been the director of the Reschio Stables and Stud since 2003. He was also instrumental in promoting and developing the San Fratellano horse which now has it’s own stud book. He initially trained under Maestro Girardon for three years and then with M. Phillipe Karl which opened the philosophy of lightness to him. In 1999 he took a course in Iso-dynamics with Maestro Andrè Bourlet Slakov. 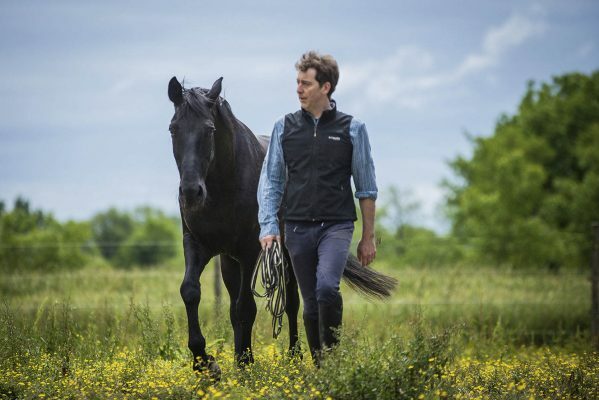 He has a level 1 dressage FISE licence and has been a board member of S.I.A.E.C – Italian School of Classical Equestrian Art. 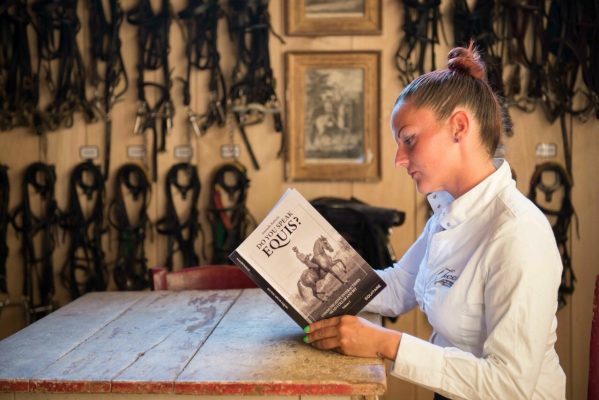 From the beginning of his career he has trained and re-educated more than 500 horses in all manner of disciplines: vaulting, carriage driving, show jumping, dressage, working disciplines, etc. From his work at Reschio, shut away from the environment of constantly training horses, competitions, shows and courses, and without the pressure of having to “demonstrate” and “achieve immediate results”, he was able to concentrate his attention on a “qualitative” research into both theoretical and practical ethology. From the observation of horses in the herd, from the study of their functional anatomy, the application of ethology in the relationship between man and horse, he developed a technique of association of the bit and head collar with the intent of applying, in the saddle, the same communicative coherence of ethological language which works so well on the ground. This long experimental journey on various subjects brought him to achieve excellent and demonstrable results on various levels. Given the validity and naturalness of this method, (verified through the responses and consequently positive attitudes of the horse) and being able to execute all the figures of dressage in lightness using simply a head collar, the need to spread the use of this method became his principal objective and as a result he founded and developed F.E.E.L (Formazione di Etologia e Equitazione in Leggerezza) – School of Ethology and Equitation in Lightness. In 2016 his book, “Do You Speak Equis?” was published in Italian and in 2017 it was also published in English by Crowood Press.